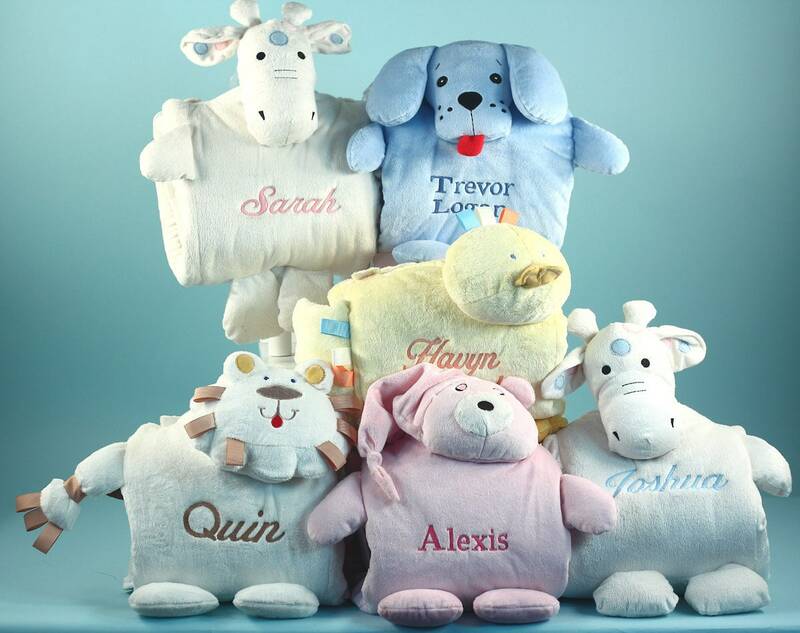 Blankie Buddie Baby Blanket is always a great choice as a baby gift. Parents love them because they look great and feel absolutely fantastic. And most importantly, the silky soft & plush fabric keeps baby comfy & warm without being too heavy or bulky. 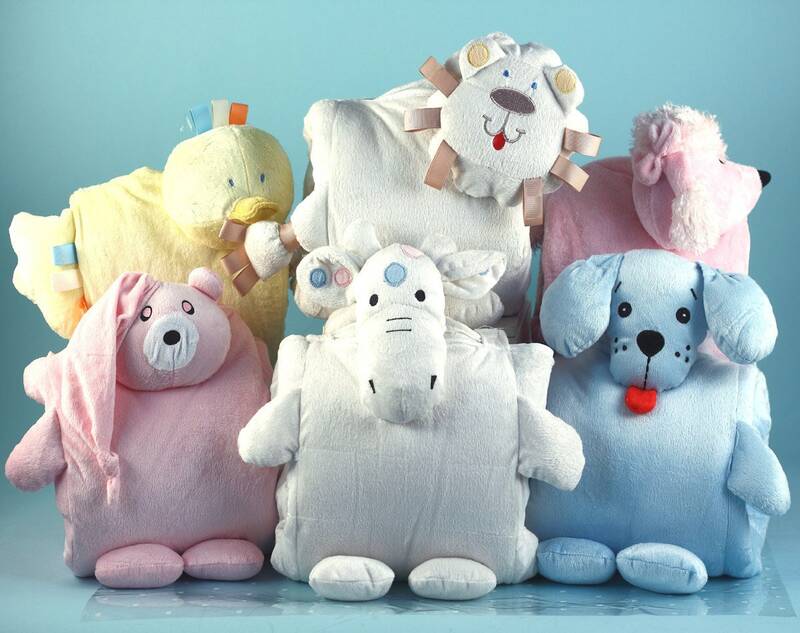 Blankie Buddie baby blankets are available in six adorable animal character designs: bear, giraffe, puppy, duck, lion & poodle. Each is generously sized at 30" x 36" to wrap baby in sheer comfort, whether at home, in the crib, or out & about in a stroller or car seat. Whichever one you choose, it comes gift wrapped in a clear cello bag tied with ribbon & bow. Blanket can be ordered personalized too! The name will be beautifully embroidered on the front. Please enter the name in the space provided or the Notes/Comments box during checkout. Maximum characters is 12.